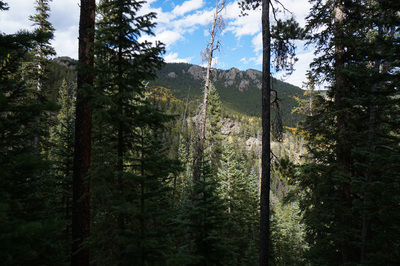 Directions: From Denver take I-70 West to Idaho Springs and exit at the Mount Evans exit. 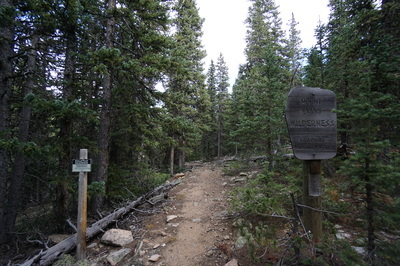 Turn left (south) onto 103 Chicago Creek Road, which becomes Squaw Pass Road. 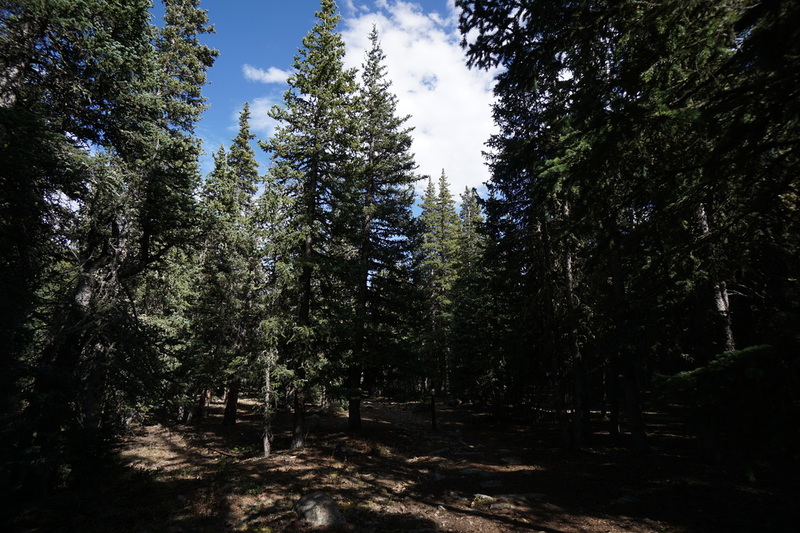 When you reach Echo Lake, continue past the lake and turn right into the parking area for the Echo Lake Campground, just before the entrance station for Mt. 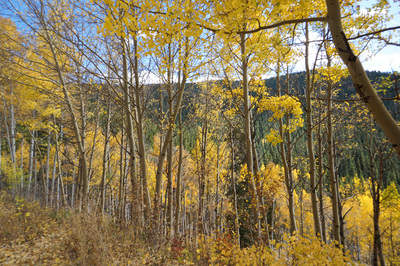 Evans Road. 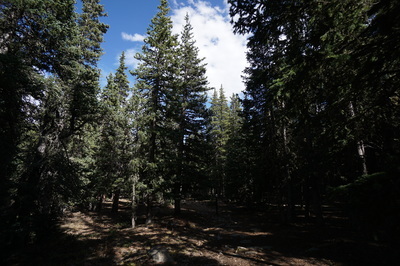 Park at the campground and walk down the road, past the gate. 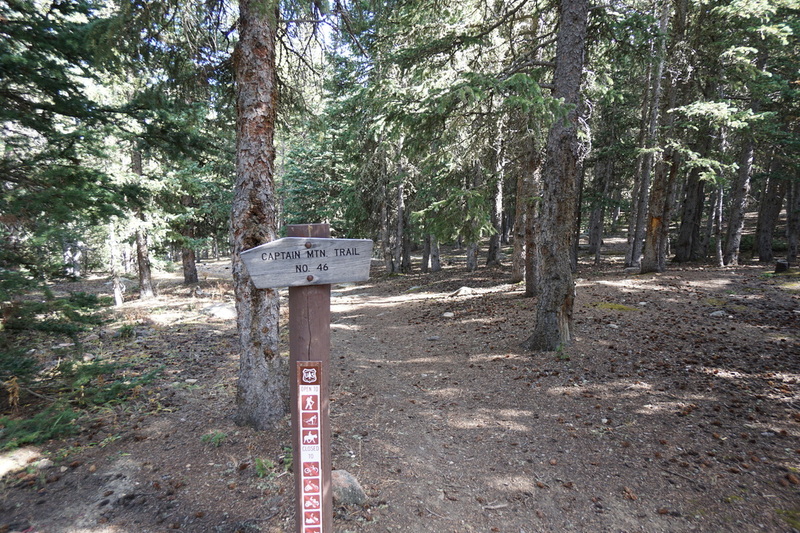 Look to the left for a trail sign and turn left onto the Captain Mountain Trail. 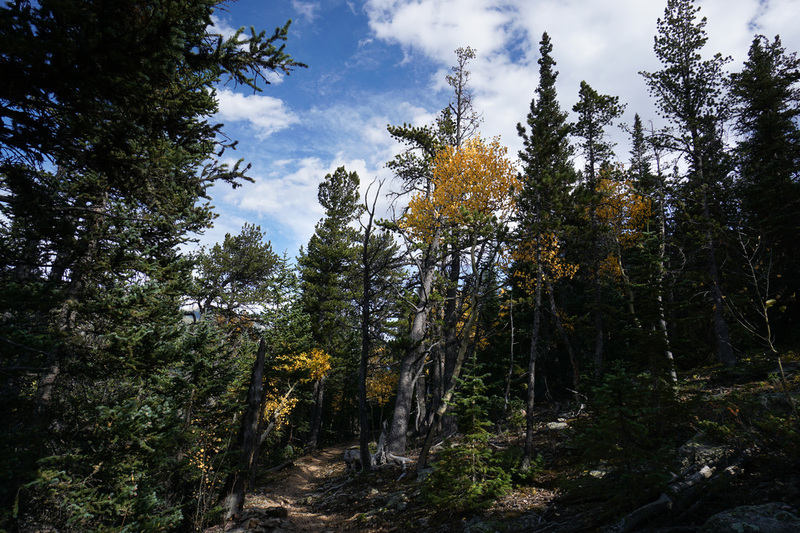 The Captain Mountain Trail is a long out and back trail that connects the Echo Lake Campground to the Mount Evans State Wildlife Area west of Evergreen. 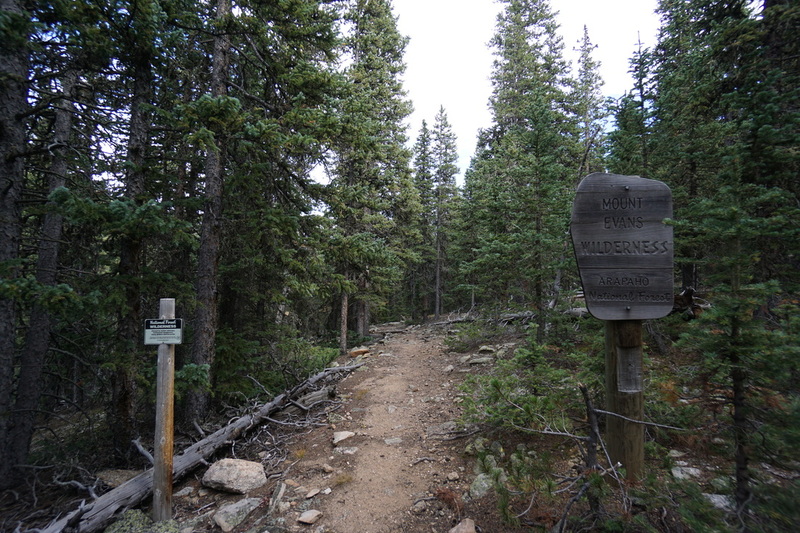 From either direction, the trail provides a pleasant wooded hike through the eastern portion of the Mt. 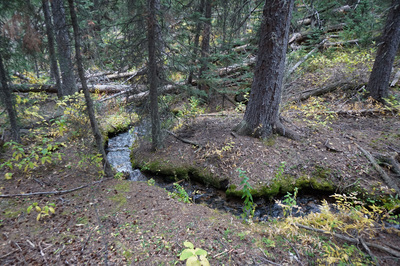 Evans Wilderness Area. 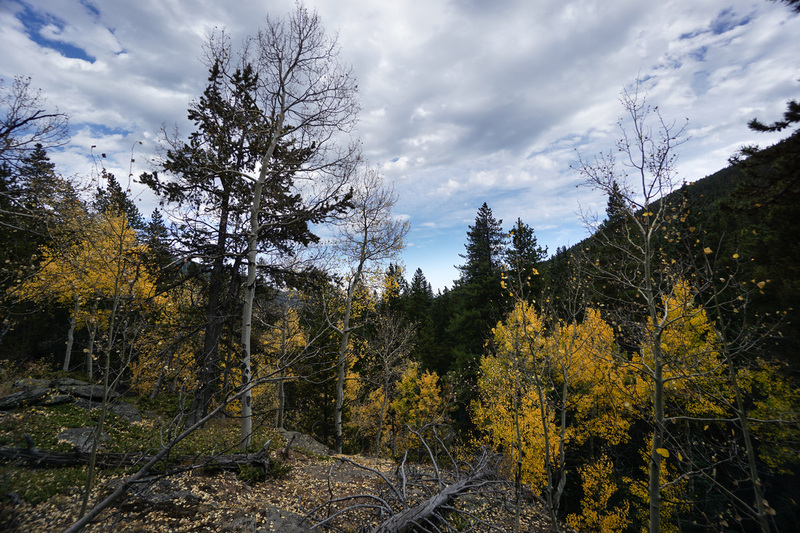 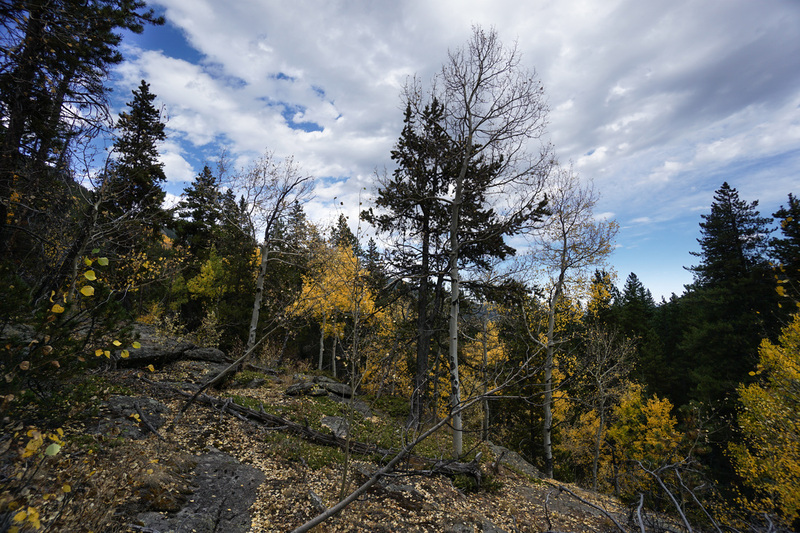 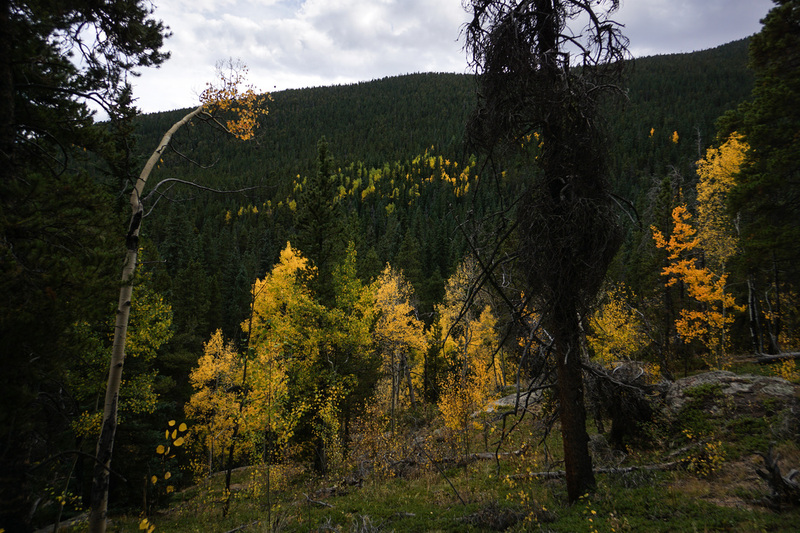 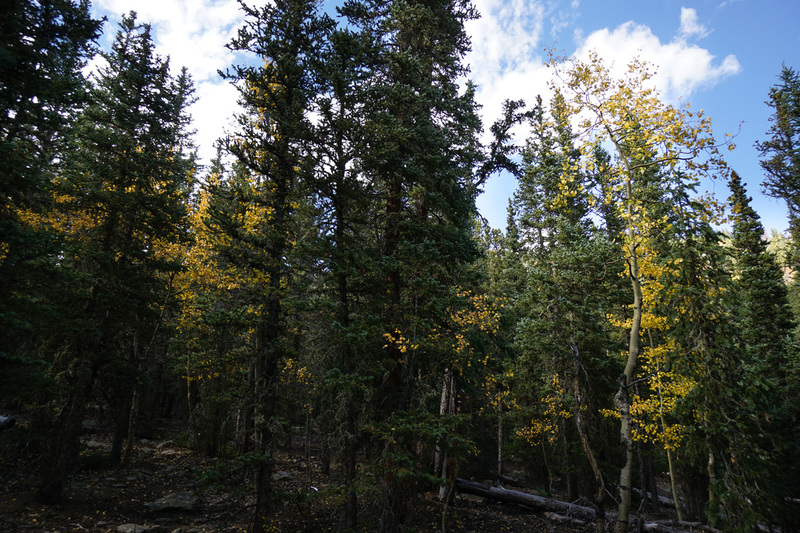 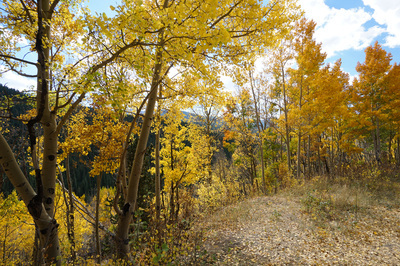 From Echo Lake, the trail descends down a valley that contains an astonishing aspen grove, visible from overlooks along Squaw Pass Road. 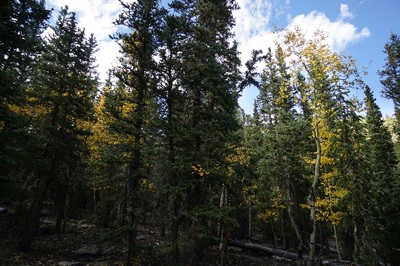 Unfortunately, the trail does not lead to this aspen grove, rather it traverses the opposite side of the valley and due to the thick evergreen forest, views of the grove are limited. 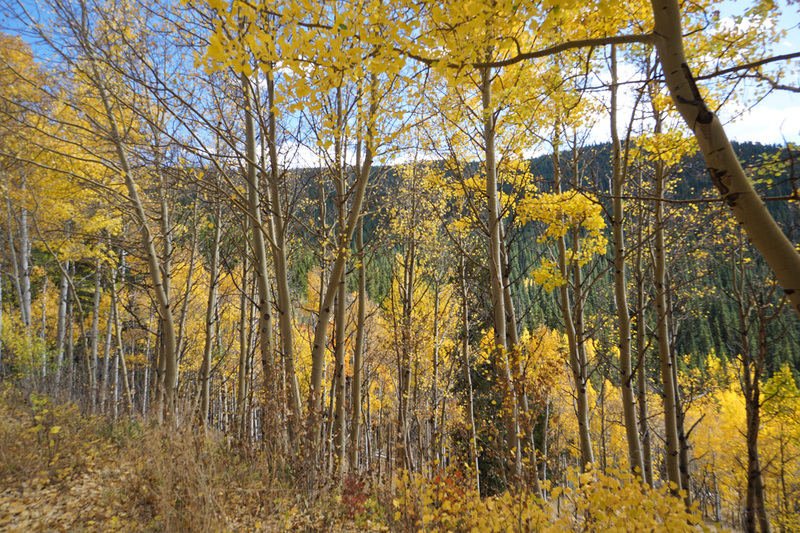 If you are looking for a peaceful trail that leads away from the throngs of leaf peepers, then this trail is for you. 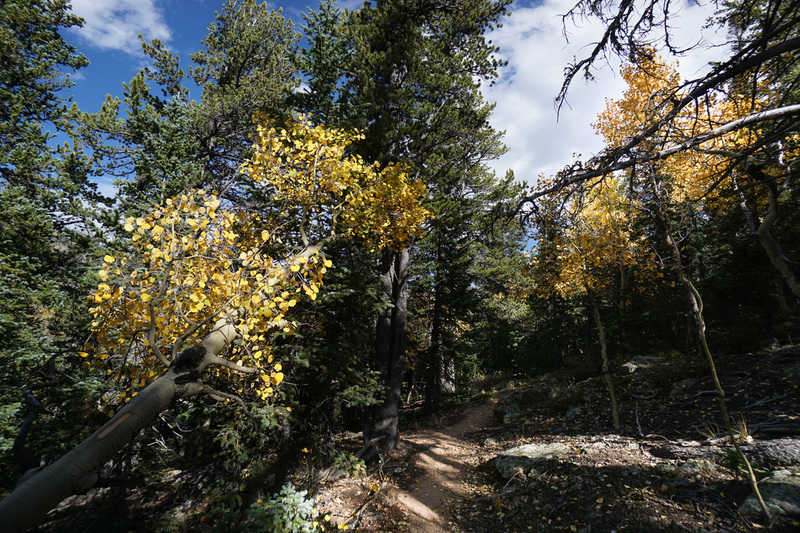 However, if you intend to hike this trail in the fall looking for beautiful fall colors, then you will likely by frustrated and disappointed. That being said, there is a lot to love about this hike in the fall. 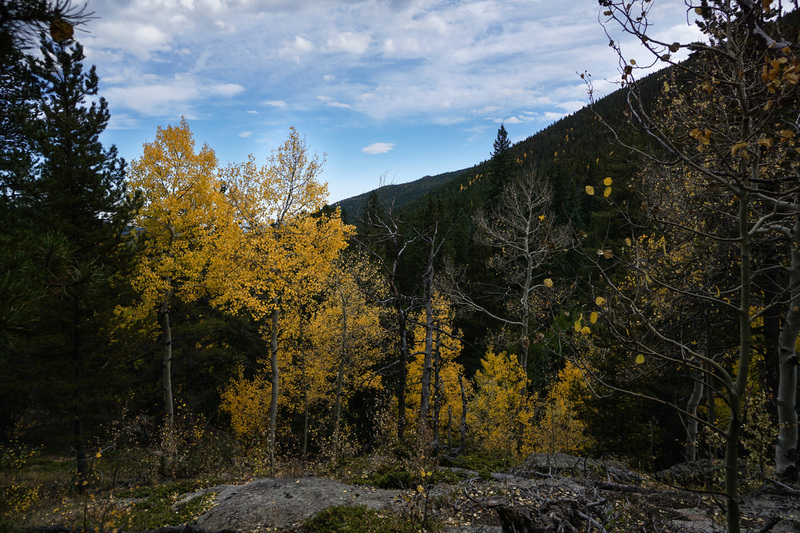 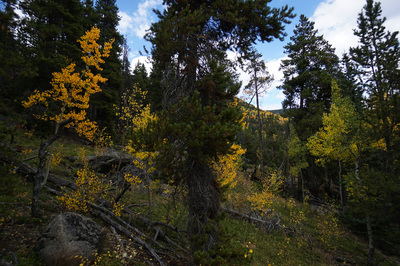 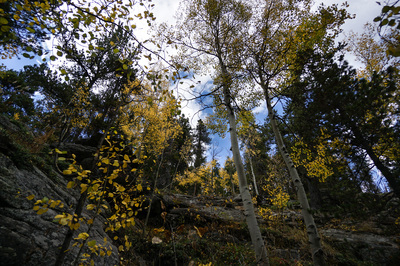 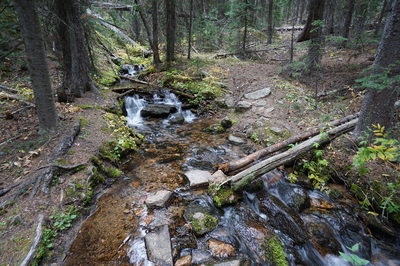 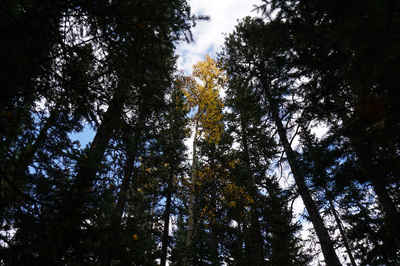 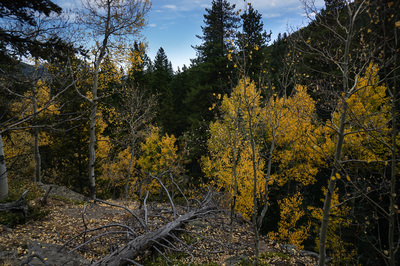 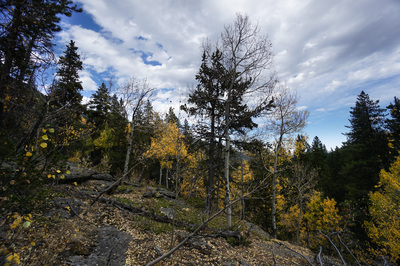 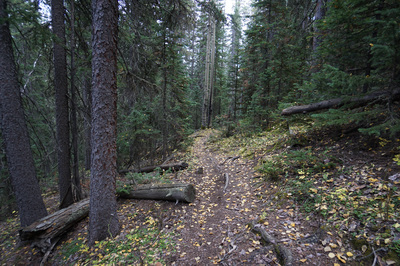 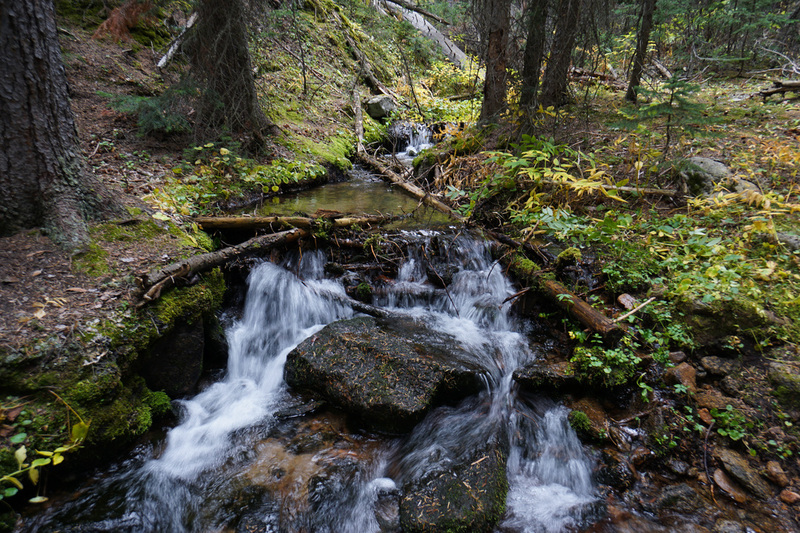 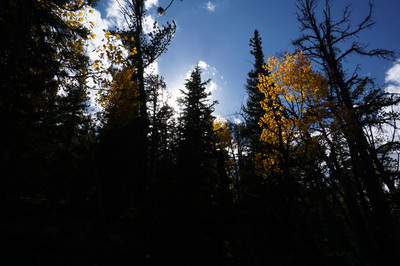 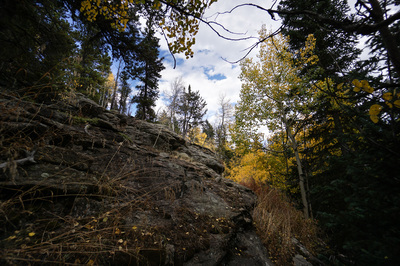 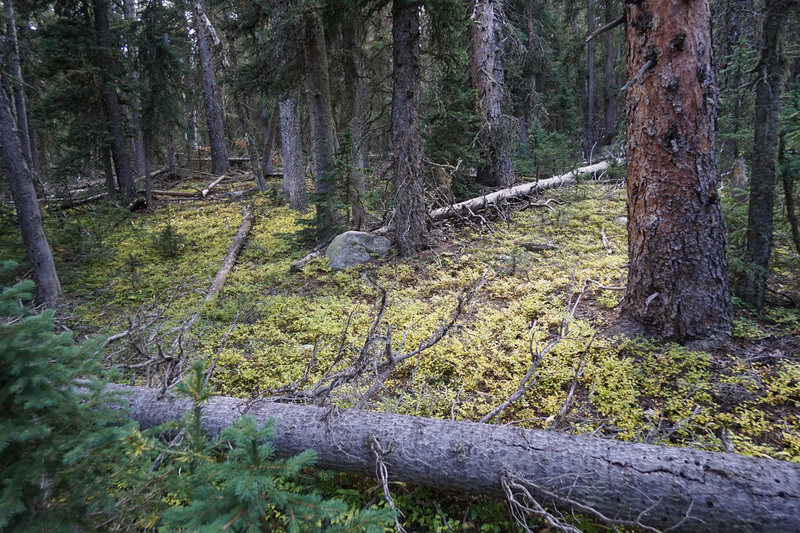 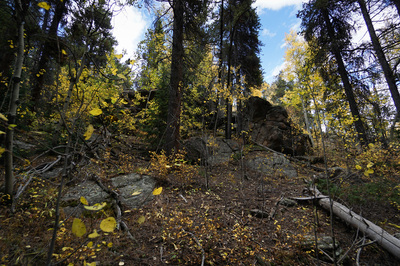 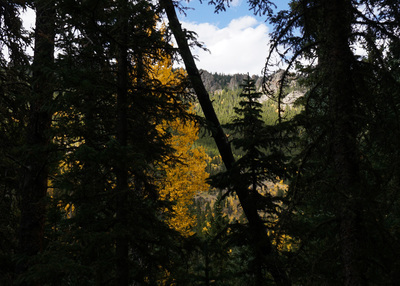 The yellow forest undergrowth provides a beautiful contrast to the evergreens; there are lone aspen groves along the trail that provide fallen leaves and golden trees; the creek crossing is peaceful and serene; and there is a rock outcropping just past the creek that is situated among a small but beautiful aspen grove. 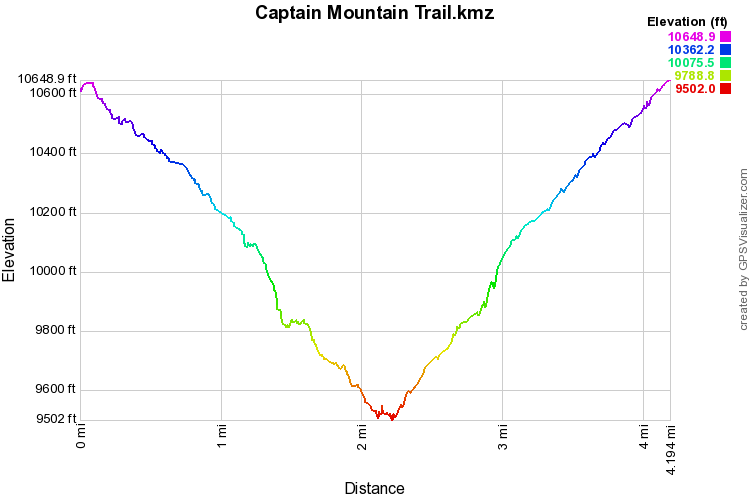 The 1st mile of the Captain Mountain Trail descends gently down the valley and enters the Mt. 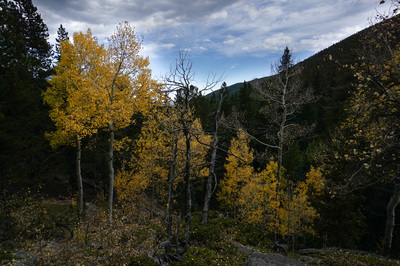 Evans Wilderness Area. 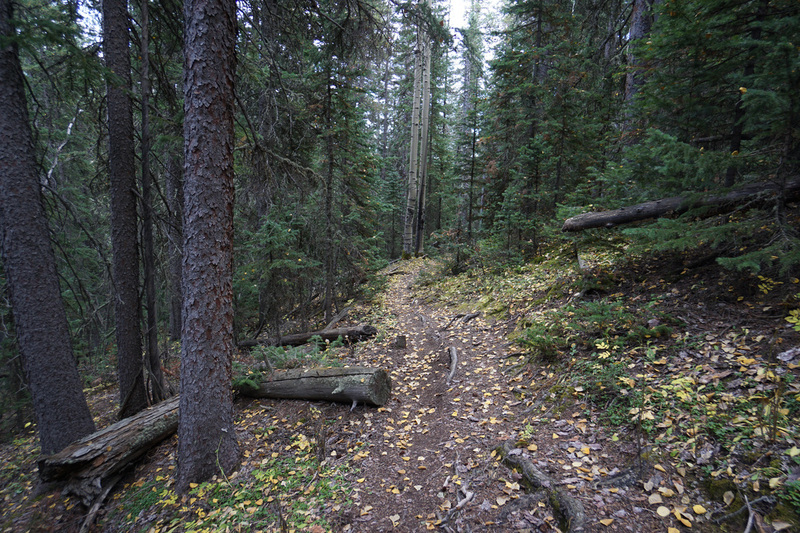 The 2nd mile is much steeper as it switchbacks down to Beaverdam Creek. The trail goes on from here and might have some nice fall colors. 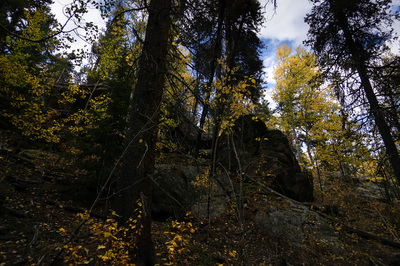 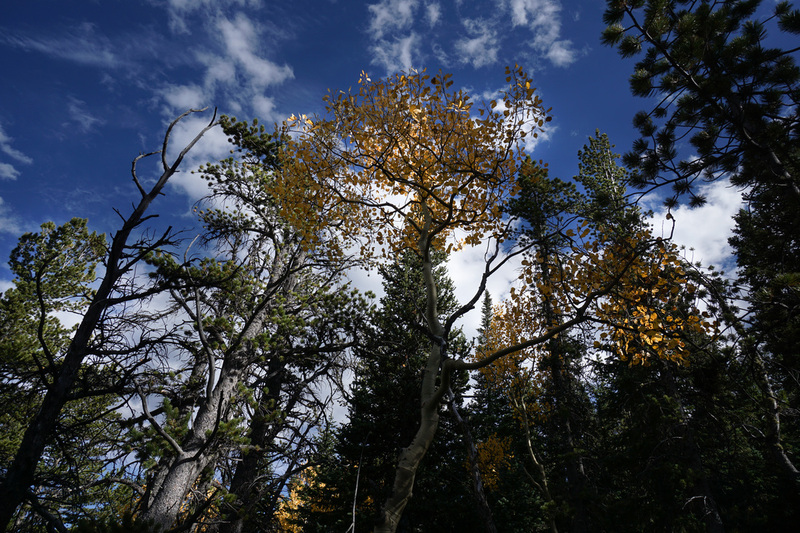 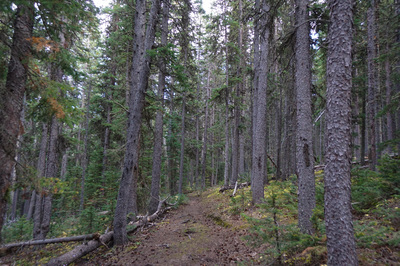 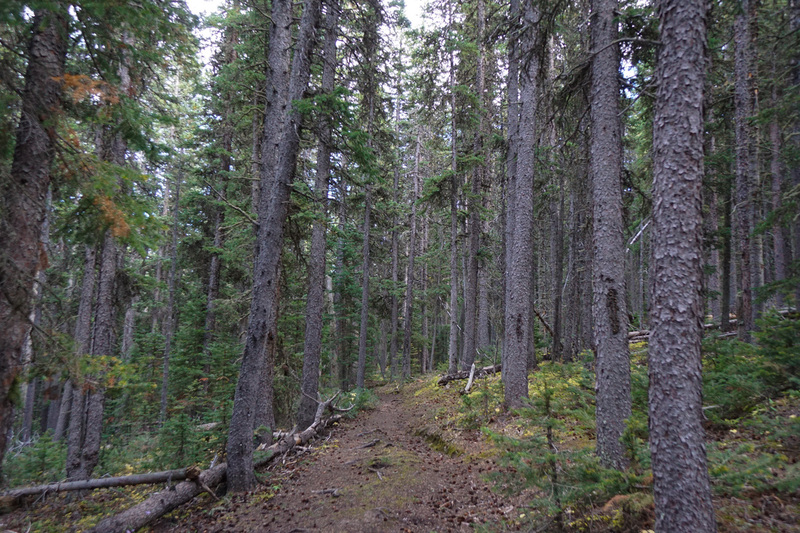 It also may be possible to bushwack from the rock outcrop north to the giant aspen grove... 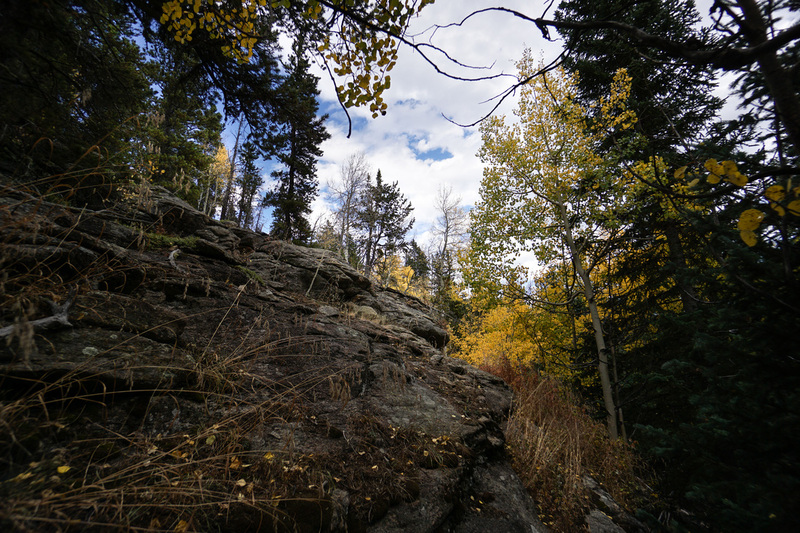 I highly recommend further exploration. 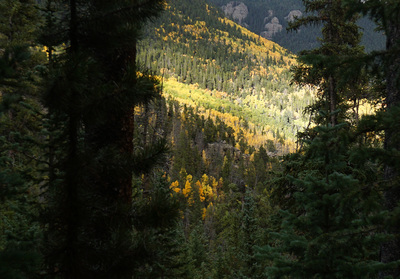 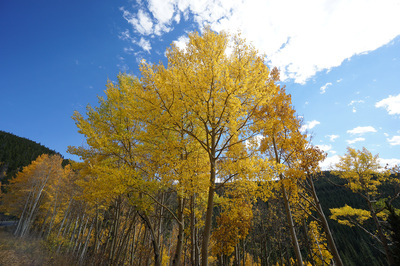 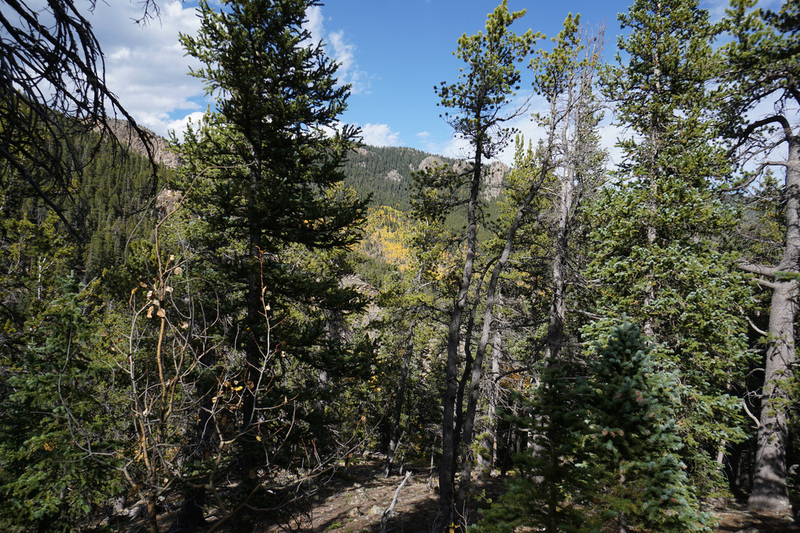 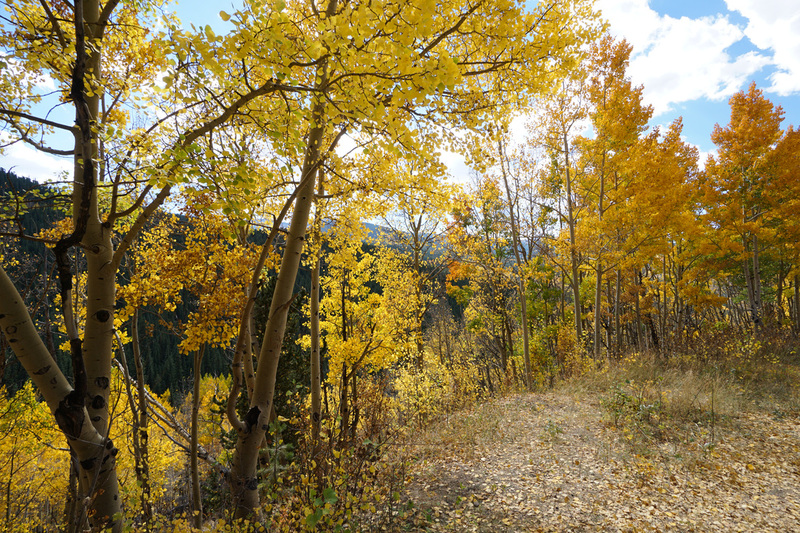 This is truly a beautiful hike, it just won't produce the wiz bang color filled fall hike that you might want during the peak of Front Range aspen season.